If MPs are serious about protecting jobs and securing long-term, sustainable economic growth, they must now support a second Brexit referendum, the CEO of deVere Group, one of the world's largest independent financial advisory organisations, said this morning. Nigel Green, founder and chief executive of deVere Group, is speaking out as talks between Conservative ministers and their Labour shadows continue to try and find a Brexit deal that could command a parliamentary majority. Green said: "As soon as MPs return from the Easter recess, they must get behind plans for a confirmatory Brexit vote. If there's the political will for it, it could be done in a matter of months. Giving the public the chance to have a confirmatory vote and giving them a final say is quite simply the only credible solution now available. But MPs must act fast or time will, once again, run out"
"Political egos must be put aside. Time must stop being wasted on grandstanding. Momentum must be built and decisions made. "Both the Conservatives and Labour are making vaguely positive remarks about their talks to find a deal that could secure a parliamentary majority. But it remains hugely doubtful as to whether they will ultimately find a way forward that both parties could defend. "The countdown is on for recently extended Halloween Brexit Day. The time to take affirmative action is now; we haven't got more time to continue with talks that may or may not reach a successful conclusion." He continued: "The lingering uncertainty surrounding Brexit is having a real impact on business in the UK, the EU, and around the world that trade internationally. "This uncertainty has created a monumental lack of confidence, resulting in falling investment, spending and recruiting across Britain. 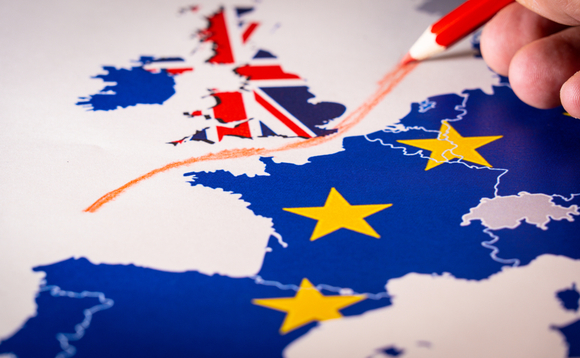 "In addition, the UK is currently the world's fifth largest economy and the impact of the Brexit deadlock, which is creating a negative economic environment, will have far-reaching implications beyond the UK's borders." He went on to add: "If MPs are serious about protecting jobs and securing long-term, sustainable economic growth, they must now support a second Brexit referendum. After MP's abject failure to so far find a way beyond the impasse, the next move has to be to put it back to the people." The deVere CEO concluded: "Giving the public the chance to have a confirmatory vote and giving them a final say is quite simply the only credible solution now available. But MPs must act fast or time will, once again, run out."